Although radios have become less and less of a household commodity due to television, Internet, and media players, they are still used on a daily basis by millions of people worldwide. We tend to take these little devices, which we find in our cars, offices, or homes, for granted, but rarely think about how they actually work. AM and FM radios are the common type of radios we find in our homes. They communicate by means of radio waves – hence the name – which is the lowest frequency of the electromagnetic spectrum. Electromagnetic waves are very similar to sound waves when considering its wave character, but differ in that it is made up of electric and magnetic vectors, and not mechanical attributes. One more point; radio waves have two aspects we change in order to communicate or send information. They are its amplitude and frequency. The radio station sends information by embedding it in the radio waves before transmitting it through air by its transmitters. 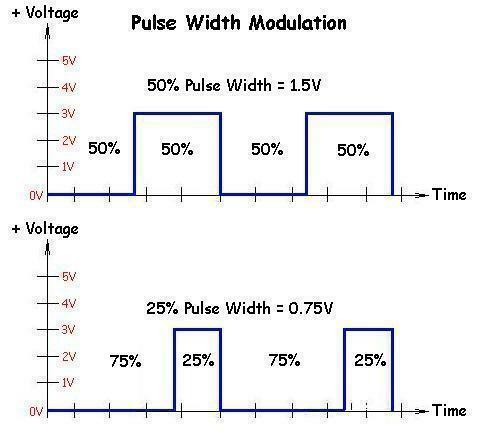 This process is called modulation and it is done by changing any of its basic characteristics, frequency or amplitude. That is, there are two types of modulation techniques, Amplitude Modulation (AM) and Frequency Modulation (FM). In Amplitude Modulation, it is the amplitude or strength of the wave that is changed. The earliest AM technique to use by humans was the Morse code, in which the code key will turn the transmitter on and off. The amplitude hits the maximum during the key press and becomes nil when the transmitter is turned off with the key release. Modern AM transmitters vary the signal level proportionally to the sound they are transmitting. That is, positive peaks of the sound produce maximum radio energy and negative peaks of the sound produce minimum energy. AM picks up more static than FM and is vulnerable to interference from other radio stations but it can be picked up from much further distances. Also, weak signals are quieter than strong ones, and hence the receiver may need additional circuits to compensate for such signal level differences. While AM is hardly ever used anymore and is generally reserved for talk radio, all radio receivers are capable of picking up AM radio signals. On the other hand, in Frequency Modulation (FM), it is the frequency aspect that is modulated instead of the amplitude. That is, the positive peaks of the modulated signal represent higher frequencies and negative peaks lower frequencies. FM waves are free of the limitations of AM, and as the audio is dependent on the frequency of the signal, no compensation circuits for different signal levels are required. There are other types of modulation techniques, which are some variations of the conventional AM and FM techniques. AM variants include Single Sideband (SSB), Double Sideband (DSB), and Vestigial Sideband (VSB) while FM types include Phase Shift Keying (PSK) and Minimum Shift Keying (MSK). These modulated signals – AM or FM – are detected by the radio receiver, when tuned to that particular frequency, which is then passed through a series of circuits in order to decode and reproduce the original sound. In case of FM, a limiting circuit screens all amplitude variations from the signal while a discriminator circuit converts the frequency variations into the original signal. For AM transmissions, it may require specialized circuits as well to filter the unwanted static. Many FM stations now transmit subcarriers on the carrier, much like the audio signals, with the exception that they are in a frequency range to high to be heard by human ears. These subcarriers are used to carry weather reports, stock quotes or information about the music being transmitted on the main carrier. FM stereo itself relies heavily on the subcarrier to bring about the stereophonc effect. The main audio in FM stereo is monophonic, which stops at a frequency of 18 KHz. At 19 KHz is a pilot signal and there is a special stereo subcarrier centered around 38 KHz. The receiver uses this stereo subcarrier in combination with the mono signal to produce left and right channel audio outputs. The 19 KHz pilot signal is used as a reference so that the receiver can properly recover the special stereo subcarrier lying in the 38 KHz band. When people use the term “radio station”, the first thing that occurs to the mind is the multitude of channels on your radio that you can tune in to in order to hear music, talk radio, sports, weather, and news. A radio station, however, is much more than that. A radio station is a physical location that handles the transfer of radio signals and organizes subjects such as music, commercials, news, and other means of entertainment. A radio station generally has a DJ on staff at all times to maintain equipment, take calls, and play music. A radio station also hosts one or more transmitters that actually broadcast the radio signal that your radio picks up. Without the radio station, radio as we know could not exist. The transmitter, located either at the radio station or at an external location, is a large tower, much like a cell phone tower, that broadcasts radio signals throughout a large area. Transmitters are very large and require a technician to physically climb the tower on occasion to make repairs and maintain the broadcasting equipment. Specifically, transmitters convert digital and electronic information into a radio signal that can be picked up by any radio in the area that is tuned into that particular station’s frequency. Your radio is first and foremost a receiver that picks up radio signals generated by the transmitter. Radios differ in capabilities and style but the general makeup of all radios are the same. Radio receivers used to be made of crystals and transistors but technology has given us the ability to make smaller equipment, now composed of computer chips and vibrating oscillators. A radio receiver may be found in your car’s stereo system, as a stand-alone device, or built into small equipment such as MP3 players and other gadgetry. Radios are often found in many electronic devices due to the fact that they can be made extremely small. Radios are found in car stereo systems, some cell phones, MP3 players, and many other devices that we use every day. Furthermore, radio is often heard over store intercom systems, in restaurants, and in many other public places. While radio has been replaced by television and Internet access as the preferred means of communication and entertainment, it still serves a very crucial and widespread function in our society. Believe it or not, your cell phone is actually a radio transceiver. 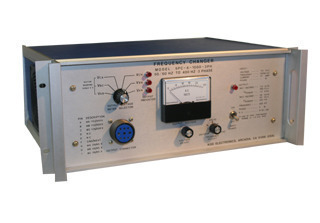 A transceiver is a device that acts as both a transmitter and receiver. That is to say that a transceiver is capable of both broadcasting radio signals and picking up radio signals from other transmitters. Without radio signals and radio technology, cell phones would not work, because they rely on transmitting and receiving radio signals in order to transfer information. Hai, I might need hints to help me on designing a fm transmitter and a receiver . Could you pls advise me? 307 queries in 0.374 seconds.